Price Ceiling, Inc. was established in Montgomery, AL by John Price in 1965. Roy Price has been CEO of Price Ceiling, Inc. since 1982. Prior to becoming CEO, Roy served under his father, John Price, as a field superintendent and as an estimator. Since 1982, Price Ceiling, Inc. has grown into a large commercial acoustical and drywall contractor. 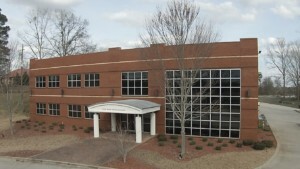 Currently, Price Ceiling maintains a corporate office in Clanton, AL which is now managed by Brad Price. Also, in 2014, Price Ceiling Inc. opened an office in Nashville, TN in order to serve that growing market. Price Ceiling, Inc. is one of a few select drywall and ceiling contractors who has been named to the Armstrong Circle Club. Armstrong is a nationally known ceiling supplier that Price Ceiling has handled for more than 30 years. The Armstrong Circle Club includes some of the company’s top producers (sub-contractors) who meet annually to provide feedback regarding the Armstrong product line. In addition, this elite group makes recommendations for future products and aids the company in its product quality initiatives. Services offered by Price Ceiling, Inc. include acoustical ceilings, metal stud framing, drywall hang/finish, eifs/stucco and many other specialty items related to those services.